CPG Aeronautics.... » Eagle launches on another test flight for Nesaru X6 project! 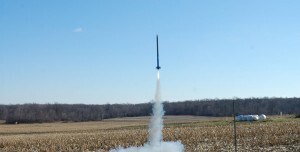 Eagle launches on another test flight for Nesaru X6 project! Perseus / Eagle flew another high performance test flight, This mission, designated as PLS-38, saw Eagle passing with flying colors…Literally! Eagle launching on mission PLS-38. It's just a blur of colors! 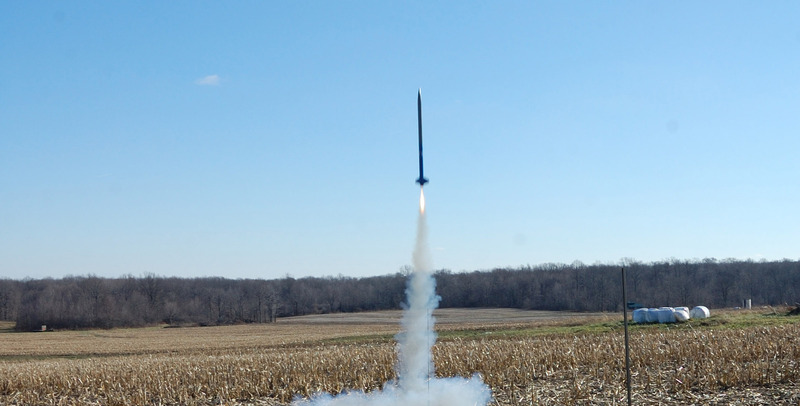 This is the second flight created purely to prepare for the maiden launch of Adventure / Nesaru X6. I’ve collected aerodynamic flight data using the Perseus rockets since these rockets are the design templates for the X6 rocket stack. Eagle flew “light” to maximize speed & altitude on an Aerotech F24. Perseus made an altitude of over 1676 feet AGL with a maximum speed of 277 MPH. No stability issues were noted.